My all ehx big box board needs a reuse bypass looper, but I decided to build one instead of using the one I have. I need 12 input/output jacks, 6 switches (silent preferred), led's (and bezels if needed), and power input. Basically 6 loops, one pedal, powered by one standard boss plug in. I've been looking on small bear electronics but don't know enough about pedal building hardware to know what to buy. Anyone on here have any advice on parts I should check out and add to my cart? I like these power jacks cause they don't take up a lot of space. I have tried the bigger plastic ones in the past but I have a couple cases where they snapped, though I chalk that up to the guitarist's environment. 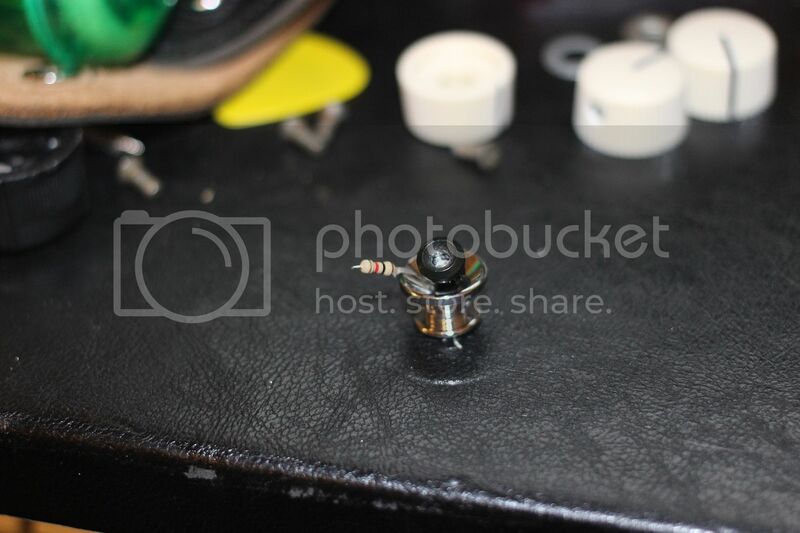 As for input jacks, I usually buy mono switchcrafts but I've probably also bought Neutriks cause they're cheaper. I dunno what kind of input jacks your gonna need but they've got stereo ones and smaller profile plastic ones as well. You can probably get away without led bezels and have them float or use some hot glue. 5mm LEDs are pretty standard, and they stock metal bezels and plastic ones. Personally I like clear LEDs but it's up to you, depending on what kind of switching you're doing you could use two color ones for settings or whatever. As for the switches, I don't really know of anyones that are silent and latching, that is to say if you need a latching stomp switch. There are momentary switches which will be essentially silent but you'll have to be holding it down unless you know how to use a relay, at least I think that's the device. I like these 3pdt switches for pedals, but you could also use a dpdt switch and wire up a millennium bypass circuit for the LED. I was considering harvesting the current guts from the foot controller (switches and led's), but might have to figure out a way to desire them. I would think mono should work for I/o jacks as each loop will be mono. Yea man, you probably can harvest those LEDs but the shorter leads might be a pain to deal with since they're soldered to a board most likely. People do it though, that soaring tortoise dude makes all his electronics with recycled parts. I just looked up the switches in the hog controller, they're single pole double throw. All true bypass loopers diagrams that I see are either 3pdt or dpdt. What is the difference between 3pdt and Dpdt? Dual pole double throw means you have 2 columns and 3 rows, enough for wiring up in and out to a send and return. 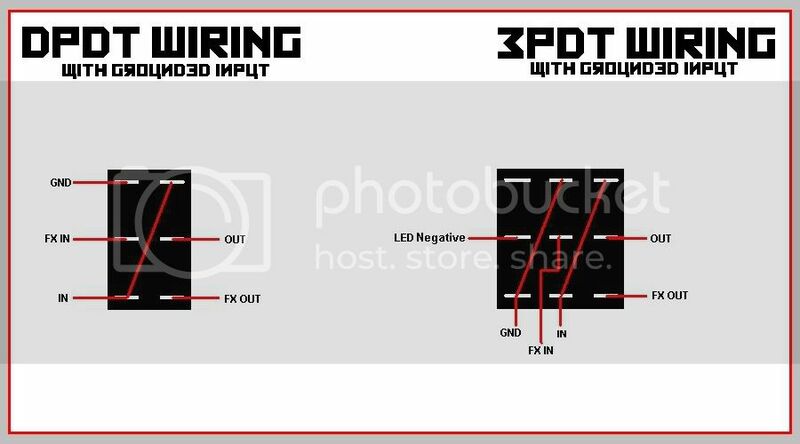 3pdt stands for triple pole double through, it ands an additional column that's typically used for status LEDs in modern pedals. 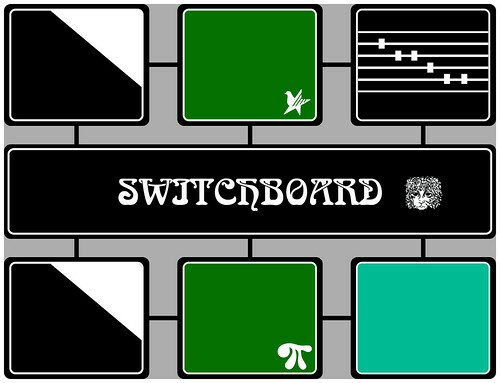 The double throw part means that the switch can toggle between two settings. harvesting some parts from a much more cramped 6 spot tbpl, i found the LED's and resistors wouldn't come out without a struggle, so I am just going to buy those new. One appears to be an LED and the other a 1k resistor.